I Spy Animals: Is this really the Ugliest Dolphin? 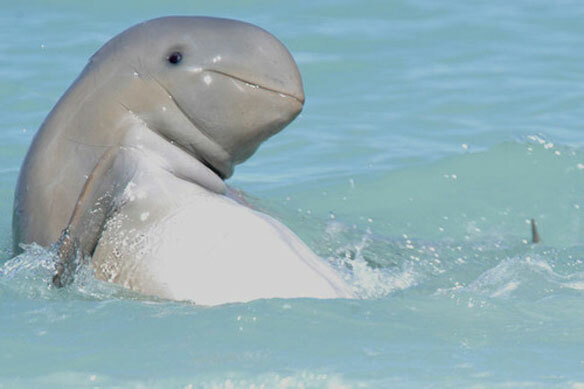 Is this really the Ugliest Dolphin? Not known to exist before 2005, this dolphin is Australia's only native dolphin species. And it's in big trouble already! The areas where it lives are popular with boaters and fishermen. In a recent survey, 2 out of every 3 Snubfin dolphins seen showed scars of past injuries from boats and nets. 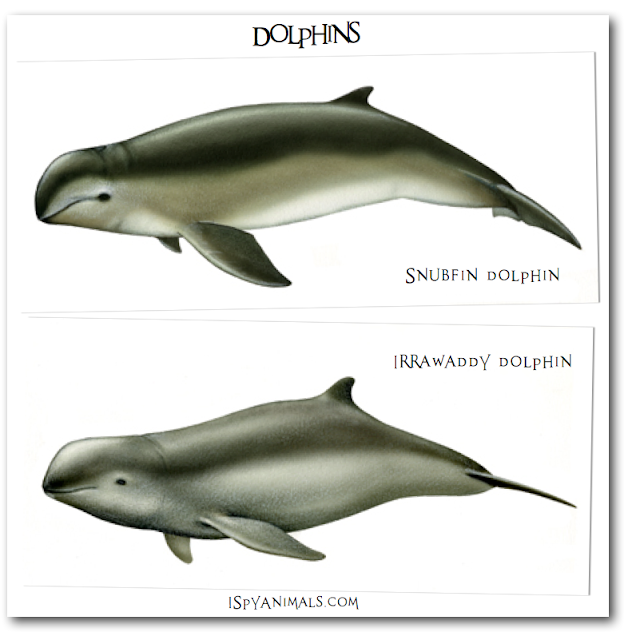 The Snubfin dolphin is named for its small dorsal (back) fin, and looks so similar to the well-known Irrawaddy dolphin, that no one realized the two species were different. Just for fun, I am posting pics below of both the Snubfin and the Irrawaddy dolphin. Send me your comments on what differences you find! Then watch the video below and let me know if you agree with the people that call this the ugliest dolphin ever.